If you work with email campaigns in any capacity you probably heard of all the terms listed below, but do you really understand what they mean and how they can be helpful in analyzing success of your email campaigns? We break it all down and provide you with some links for additional reading. MBP – MailBox Provider, any company that provides end users (i.e., subscribers) with an email account. The largest MBPs in North America are Gmail, Yahoo, Microsoft, AOL, and Comcast. It’s important to not forget corporate email providers with their custom setup and unique spam filters, which can make a big difference for some industries – for example schools and universities tend to have very aggressive spam filters so fewer emails reach recipients. Blocked – if email is blocked, the MBP filter has determined the message or sender is suspicious and has stopped the mail (and any other volume from the sender) from going through to the recipient. Since BigMailer uses Amazon SES, which has a very large pool of IPs (and servers), the email blocking and blacklisting is not a big issue and so deliverability tends to be higher compared to many other providers. Bounces – a bounce means that the message cannot be accepted by the MBP (MailBox Provider) and is the email equivalent of “return to sender.” There are two types of bounces: hard and soft. Hard bounces indicate an email address is invalid or no longer exists; soft bounces indicate a temporary reason, such as a full inbox, for returning the message. Inbox Placement Rate – a ratio of emails that landed in the Inbox (didn’t go to Spam/Junk or Promo (Gmail) folders) to total emails sent. Many marketers confuse “delivery rate” with “inbox placement rate” and use the two terms interchangeably, but they are quite different. Inbox placement is something marketers can optimize for using spam testing tools like GlockApps or Litmus that analyze inbox placement across many MBPs and consider things like email content, subject line, and even implementation (code). Double opt-in – a practice to ask email subscribers to verify their subscription by clicking on a link in a verification email automatically sent out once a user subscribes. Double opt-in can significantly limit marketing opportunities for a given list while slightly improving list quality. Single opt-in is considered a superior subscription process by many marketers because it maximizes list growth and overall performance by minimizing signup barriers and opportunities for errors. Chad White from Litmus on advantages of single opt-in. Re-permissioning – a practice to reach out to existing list subscribers to obtain a confirmation of permission to send emails. This has been discussed a lot lately due to GDPR’s requirement to have an explicit consent from subscribers. From what we had seen and heard, few companies had engaged in this practice, especially for US-based subscribers since GDPR scope is limited to customers located in EU, although it is recommended by experts at ReturnPath. utm parameters – these are URL parameters that are used to help identify the source of traffic (e.g. social networks, email and display advertising campaigns) in Google Analytics with names that start with utm_ (e.g. utm_medium, utm_source, utm_campaign). 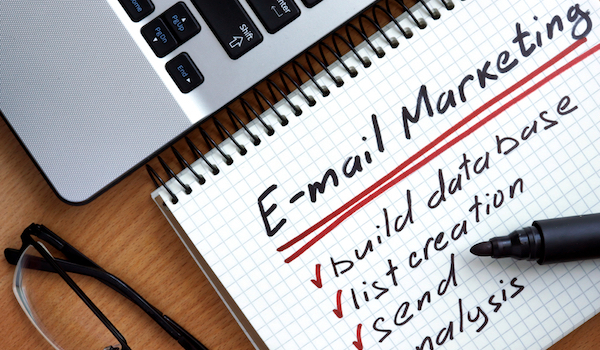 Some email marketing software providers automatically add some utm_ parameters, like utm_medium=email (like MailChimp) and some providers allow defining additional parameters in a freeform field, either globally for an account (like SendGrid) or on a per campaign basis (BigMailer and others). Read more about conversion tracking with Google Analytics. Did you learn something new from reading this post? Are there any other terms you think we should add to this list? Please let us know by leaving a comment, we appreciate any feedback.